Informant America: Does anyone in power have the guts to do right by Rick Wershe? Does anyone in power have the guts to do right by Rick Wershe? People famous and not-so-famous are getting released from prison left and right. But not Rick Wershe, Jr. He’s been behind bars for over 28 years. Drug underworld murderers don’t serve that much time. Do any of Michigan’s criminal justice “leaders” have the guts to step up and emphasize the word “justice” in criminal justice? Not so far. Do any of the federal agencies which used him callously as a juvenile informant believe they have an obligation to a man who helped them put major drug dealers and corrupt cops behind bars? Apparently not. Shortened prison terms have been in the news lately, sandwiched in between the latest Barnum and Bailey stunts and showboating in our nation’s pathetic ordeal of selecting a new leader. John Hinckley, Jr., the man who tried to murder President Ronald Reagan, was released from custody in early August. 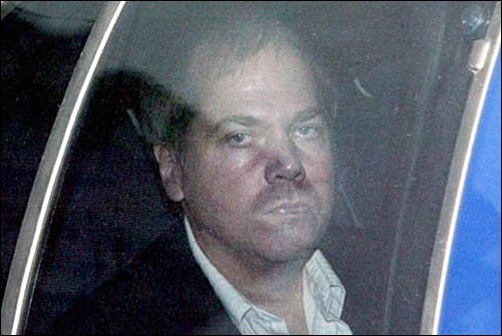 His case was reevaluated and psychiatric “experts” proclaimed Hinckley is no longer a threat to society or himself. Last week, President Barack Obama shortened the prison sentences for 214 more drug dealers serving time in federal prisons. Obama hopes to pardon or commute the sentences of another 1,300 federal inmates before he leaves office. 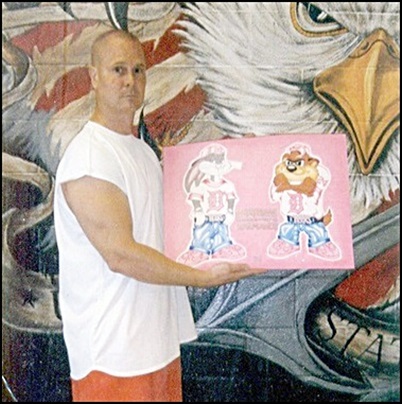 Rick Wershe, Jr. displays some of his art work completed in prison. That’s precisely the problem. No one in the Michigan criminal justice system or the federal justice system has the interest or the compassion to do anything about the life sentence of a man who one former FBI agent described as the most valuable informant the Detroit Division of the FBI had in that era terms of the drug trade. Hey, that was a long time ago. That’s too bad about Wershe, but he’s not our problem. We only care about pending investigations, indictments and trials, cases that can help us advance our careers today. At the local and state level it isn’t about the past. It’s about keeping the flame. 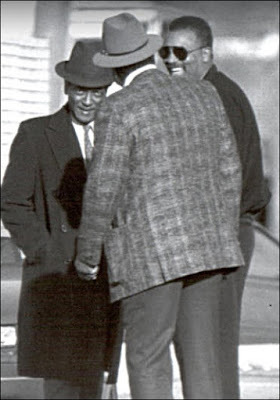 In this case the “flame” is a vendetta started by Detroit’s late mayor Coleman Young and City Council President Gil Hill. Together and separately, they had their reasons for wanting Richard J. Wershe, Jr. to die in prison. 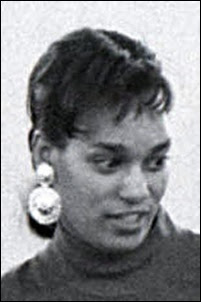 From 1984 until sometime in 1986, Rick Wershe was a paid teen informant for the FBI who helped the Bureau and the Justice Department successfully prosecute the Curry Brothers, a politically connected dope gang with ties by marriage to Mayor Young. 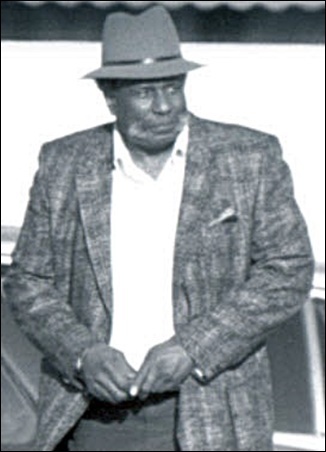 Even after he went to prison on a life sentence for drugs, Wershe continued to help the FBI pursue drug corruption in Detroit. Nearly a dozen cops were nabbed in an FBI undercover sting operation in which they were providing “police protection” for what they believed were drug and cash shipments by men they thought were part of the Miami drug smuggling underworld. It turns out the dopers were undercover FBI agents. That FBI sting operation was possible because of introductions made by Wershe while he was in Marquette State Prison. Cathy Volsan Curry, Mayor Young’s favorite niece, had had an affair with Wershe just before he went to prison. Wershe was able to contact her to get the undercover sting started. Cathy Volsan Curry brought in her drug-dealing father, Willie Clyde Volsan, the mayor’s brother-in-law. Willie Volsan, in turn, brought in cops willing to be bought to protect drugs and drug cash. Volsan also brought in one of his political pals; Detroit city councilman Gil Hill, an ex-cop. The FBI set up undercover meetings with Hill who backed out at the last minute and thus avoided being indicted. Thus, Richard J. Wershe, Jr. made enemies of the two most powerful men in Detroit black politics: Coleman Young and Gil Hill. Detroit’s black political machine was outraged that a teenage Detroit kid—a WHITE Detroit kid—had been able to get close to the corruption in their empire and to help the equally detested FBI go after them. Racial politics is a part of the Rick Wershe story. He’s white. The people who are waging a lifelong vendetta against him are black—mostly. So far the black political machine is winning, with the help of cowardly whites in the criminal justice system who are too afraid to stand up for what’s right when it might cost them votes in the City of Detroit, which is over 84 percent black and still the largest city in Michigan. 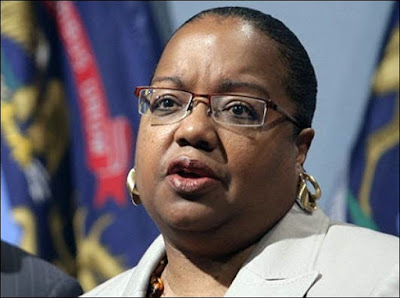 Informant America has made the argument repeatedly that Wayne County Prosecutor Kym Worthy is a stooge of Detroit’s black political machine. She came up through it. She owes her career to it. We don’t know if black racism toward Wershe is part of her ceaseless campaign to keep him in prison. We don’t know if she’s helping the late Gil Hill maintain a vendetta from the grave because of a close past personal relationship between them. We don’t know if it’s because she wallows in her reputation as the toughest woman in Detroit. All we know is she has spent considerable taxpayer money in terms of staff time and resources fighting to keep Wershe in prison long after murderers sent to jail by her office have been set free without resistance from Worthy. But there are others who need a close look. There’s Detroit’s white mayor, Mike Duggan, who allegedly wrote a hellfire-and-brimstone letter to the Michigan Parole Board stating Wershe was a menace to society who deserves to die in prison. 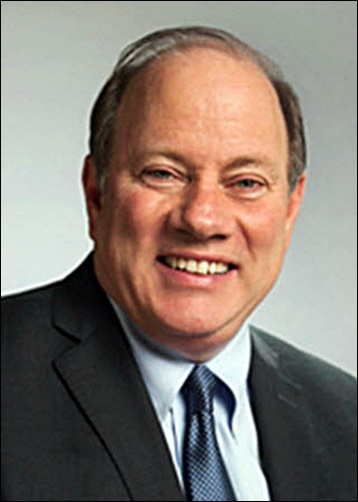 Duggan conveniently claims he “doesn’t recall” writing such a letter. It’s a modern-day version of Pontius Pilate washing his hands of the matter of this man’s fate. There’s Michigan Court of Appeals Michael Talbot who has a long-standing reputation as a bully and judicial thug. The Court of Appeals played cute with Wershe’s attempt to be treated like hundreds of other Michigan inmates and the ruling against Wershe has Talbot’s fingerprints all over it. By rights Talbot should be investigated for chronic abuse of judicial power, not just in the Wershe case but in many others. 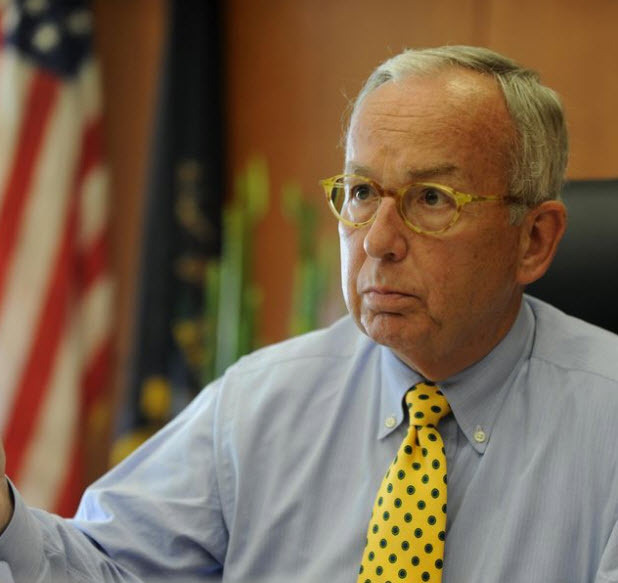 But Talbot is an entrenched figure in Michigan’s judicial power establishment. Ain’t nobody gonna touch him and he knows it. There’s Michigan Governor Rick Snyder, who, like Mike Duggan, has washed his hands of the Wershe matter by referring it to the Michigan Parole Board which Wershe is suing for violating his civil rights. 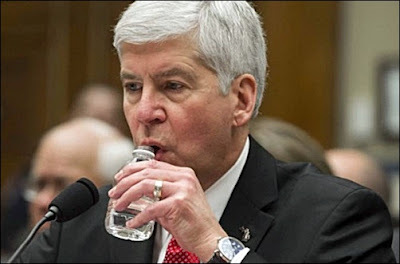 Snyder could end this with the stroke of a pen granting Wershe a pardon or commutation, but Snyder is too busy trying to dodge blame in the Flint Water atrocity to deal with “Corrections” matters. In Lansing, the buck stops anywhere but on Rick Snyder’s desk. Then there’s the gutless Michigan Supreme Court, which recently refused to hear Wershe’s appeal and refused to put their names to the decision, which is common practice. Their decision was handed down without any of the Justices having the guts to put his/her name to condemning this man to continue his days behind bars. We mustn’t forget; the Michigan Supreme Court is an elective office. Gotta make sure Detroit’s blacks aren’t enraged by doing by justice by a white guy who ratted on black corruption. Any Michigan Supreme Court Justice who does right by Rick Wershe, Jr. fears losing votes in Detroit come the next election.